Priced from £14,995 (RM76,808) in component form, the car’s live-axle rear suspension, compact engine (it powers kei cars in Japan) and low weight embody the pioneering spirit of early Sevens and represent a new entry-point to the range. The new rear axle, a throwback to early Sevens in terms of simplicity, should give the chassis a lively character with a playful tail. To meet the desired performance criteria, the Caterham Group’s engineering consultancy, Caterham Technology & Innovation (CTI), boosted engine performance from the K6A’s standard 64 hp to 80 hp, while improving fuel economy and reducing vehicle emissions. The Seven 160/165 conforms to EU5, EU6 and JC08 emissions regulations. 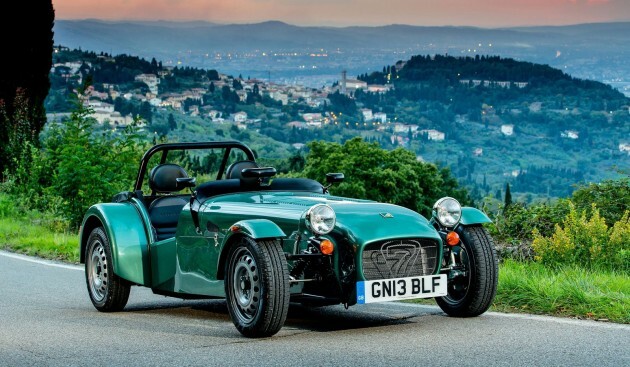 Caterham Cars CEO, Graham Macdonald, said: “As the Caterham Group as a whole grows and expands into new sectors and industries, our commitment to keep evolving the Seven is very much alive. The 160 offers something truly different to the entry-level market. It’s more economical, more accessible and every bit as fun on the road as other Sevens but has its own unique personality. Introducing the Caterham triple shot espresso. 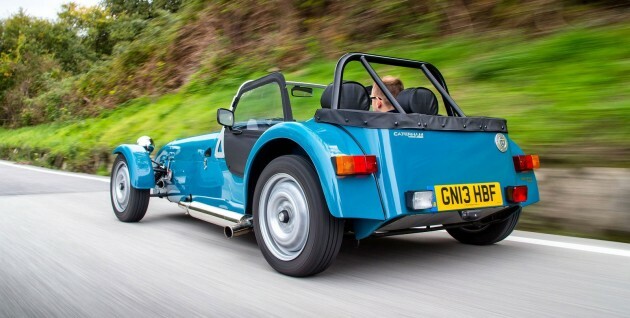 I used to like Caterham and Morgans but the moment it became Malaysian company, I realised its not worth my money. Lotus used to be so top in the world, the monet Malaysia took over, the company went down the drain. The Lotus car used to be in every pin up in everybody’s bedroom (Lotus Esprit Turbo) beside the Lamborghini Countach. Morgan not related to Malaysia. They just come out with three wheeler which is amazing. Proton bought Lotus when they went bankrupt (the owner). The new Exige are powerful. Caterham has nothing new for a long time. Old lotus seven chassis but expensive. What Fernandes did was a great thing. Have you heard about Marcos? Cizeta? Dome? Ginetta, De Tomaso, Gillet? Hommel? Wiesmann? TVR? Noble? Lister? AC cars? Where are they now? Bought by Malaysian? Antique toy. The demand is always there. Malaysia-owned company, priced at less than RM80k in kit form abroad, but we can expect them to sell it for over RM120k locally because after all, Malaysian automotive companies are best at screwing their local supporters. Raincoat incouded in the spec? that standard version from caterham already has a souped up 660cc turbo engine my dear… already tuned to 80hp from standard 64hp. no need to buy halfcut from japan. with lightweight body, use k3-vet NA also can propel this car quite fast. Btw, can opt for the speed lite wheels from mini. Classier… The rim besi looks like its from a proton iswara. Got Bumbong or not ?? Better swap with Hayabusa engine. for $24,183p you won’t get the car ..
hopefully the next model the msrp price include the side mirrors. but to be honest the door is pointless…but windshield is useful. oo yeah.. caterham owned by Tony Fernandez..
Aaaa… would love to have one. This one has how many stars in Euro NCAP? no record in ncap website! ncap covers pedestrian rating too. i dont think this kind of car(along with ariel atom) did a good job in cushioning pedestrian injury. The rims are terrible ! This car not meant for tropical countries, kena saput sun block before driving, stop under the over pass to put on rain coat if rains susah betul! And lets don’t forget the bugs hitting you and please don’t open your mouth while driving you might have a mouthfull of bugs ! Ever heard of helmet and raincoat? hit it right on the spot! Can you get around the taxes if you buy it in kit form? Wouldn’t it at least get CKD benefits cause assembled in Malaysia (by the owner)?